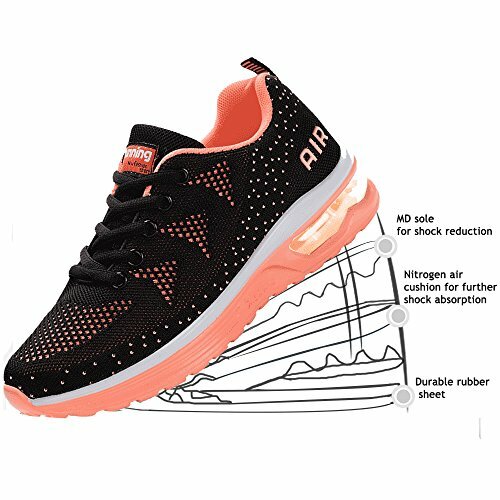 Best for a day at the gym and a night out, these women's air cushion sneaker from JACKSHIBO will have you step in athletic look. The flyknit vamp keeps this sneaker highly lightweight and breathable while PU sole provide great traction under feet. Air cushion soles provide maximum cushioning that you need to protect ankle better. Pair them with sports suits or leggings for a comfy day. Established in 2013, JACKSHIBO is a trusted footwear brand, developing lifestyle and athletic footwear for children and adults alike. JACKSHIBO's mission is to offer to all a fitting and appealing collection that fuses comfort with on-trend design. Each and every shoe is made with quality and care for your every-day fashion.